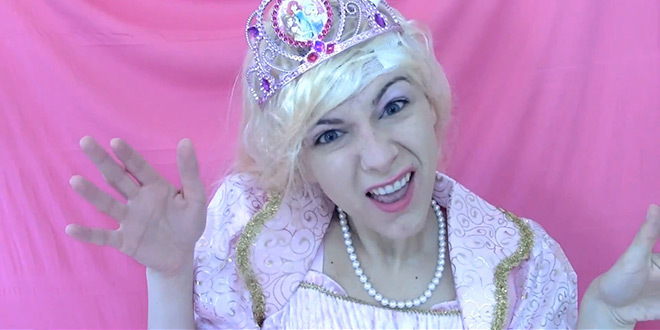 Earlier this week, an Ohio-based T-shirt company called FCKH8 released a video called Potty-Mouthed Princesses Drop F-Bombs for Feminism and caused quite a stir. If you saw the video, then you know why: the video featured young girls between the ages of 6 and 13 wearing pretty pink princess dresses and dropping F-bombs like The Wolf of Wall Street. The only problem is that these feminist myths – the gender-based pay gap and the high rate of sexual assaults on college campuses – have been easily debunked. Hell, even Time magazine published an article demolishing these liberal fables. Against this backdrop of buffoonery, libertarian video blogger and political firebrand Julie Borowski, a Policy Analyst at FreedomWorks, has released her own response to the “F-Bombs for Feminism” video. It’s an “F-Bombs for Feminism” parody of epic proportions that completely torpedoes these feminist myths once and for all, and does so in hilarious fashion. Of particular note is Borowski’s precise mimicry of the young fem-bots’ exaggerated hand gestures and mannerisms, to comedic effect.